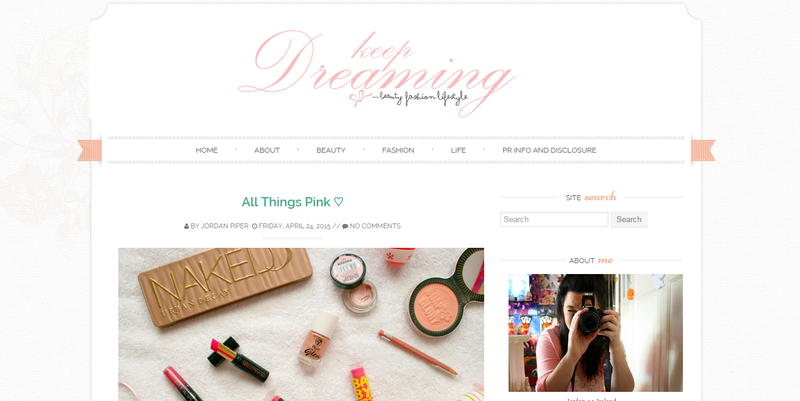 So when I first started, Darling Jordan was actually called Keep Dreaming. I couldn't think of a blog name so ended up using the same url as my tumblr blog. I'm not going to get into my photography in this post as thats a whole other post in itself but it was bad, like really bad as you can see for yourself! Also can we talk about those huge social media icons, do you think they're big enough for people to see?! 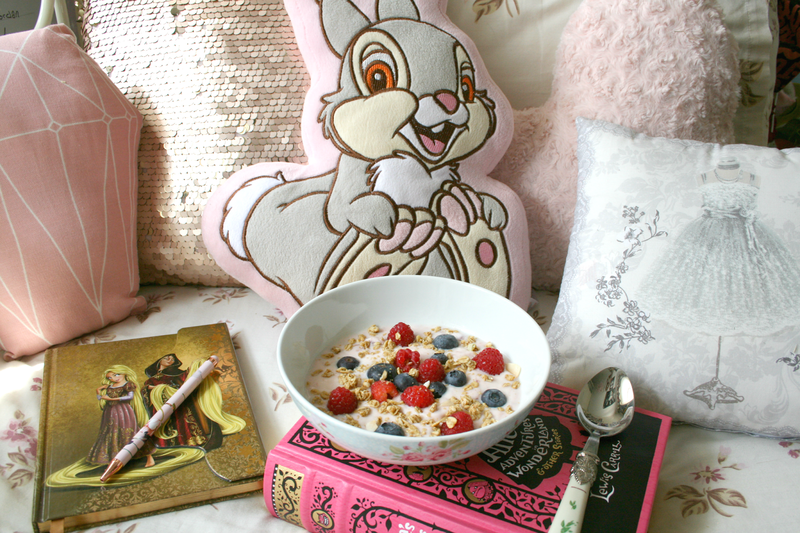 I remember being so chuffed with myself back then thinking my blog looked amazing. A couple months later I decided that my blog header needed a little more and so added the black writing under it because that looked so professional right!? Now people would know the kind of blogger I was. I was clearly loving my Halloween series with that little promo. I do still love Halloween! I'm definitely going to be going back and looking at the posts featured in that series to see what it was I was so proud of! The new year came in and it was time to make a big change to Keep Dreaming, so I got rid of the huge heart in the header. It looks so different now right!? *rolls eyes* But I couldn't get rid of a heart all together now could I!? So I added a small one beside the black font, very creative jordan, very creative. I also got myself a new profile picture featuring my camera because #professional. This photo is actually still the photo on my email icon, I'm just too lazy to change it to be honest. I also remember that I really started to try with my photography here and looking at the photo there and the one featured in the one where I first started there was a difference. Also gone were those huge social media icons and smaller neater ones were brought in. There actually still the ones I use to this day! April came around and I decided one night at midnight (I still remember this night because everything went wrong) that I wanted a new blog layout. Now back then I didn't really have money to be spending on layouts nor did I want to spend money on one, so off to google I went and spent ages looking through free layouts. Finally I decided on this one and spent hours trying to work out the codes and where they go. I remember I deleted everything and my blog was a mess for atleast 4 hours, but when I got it all back I was super happy with the look. I also got myself a whole new fancy font for my header and added a few dots to the black writing to make it look more...I'm not even sure what the significance was. This layout was an absolute nightmare, everything had a dropdown menu and I hadn't a clue how to make them work. 9 times out of 10 there was always atleast one that wasn't working or was just wrong. 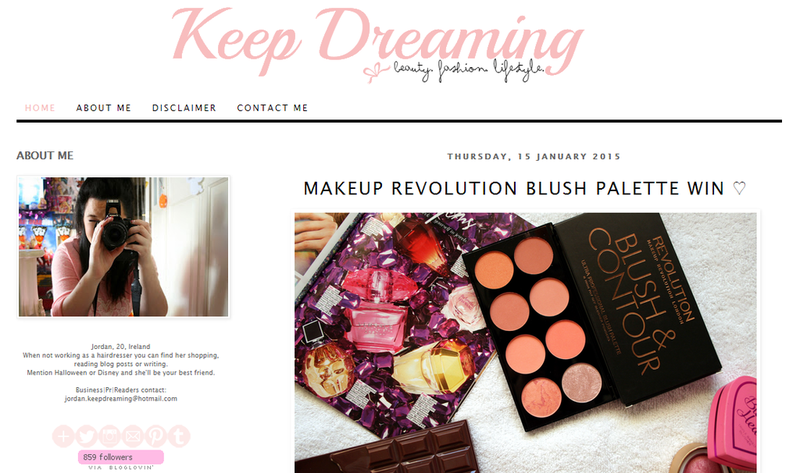 Around the time of my birthday I remember getting my first sponsored post, and the money I got for that I decided it was about time I treated my blog to a layout that looked professional and pretty and would work! So I searched the internet and found this layout and fell in love. I still do love the layout to this day and have it saved as a backup incase I ever want to go back to it. After awhile though I did get into a rut where I couldn't stand my blog. I kept working hard on my photography hoping that if I liked that I would like my blog again. Eventually I needed another change. I also wanted something that had a header that screamed wow but didn't know where to look and I was hopeless at trying to make one myself. Come Christmas time as the new year started to approach I wanted to love my blog again, so I started planning changes. 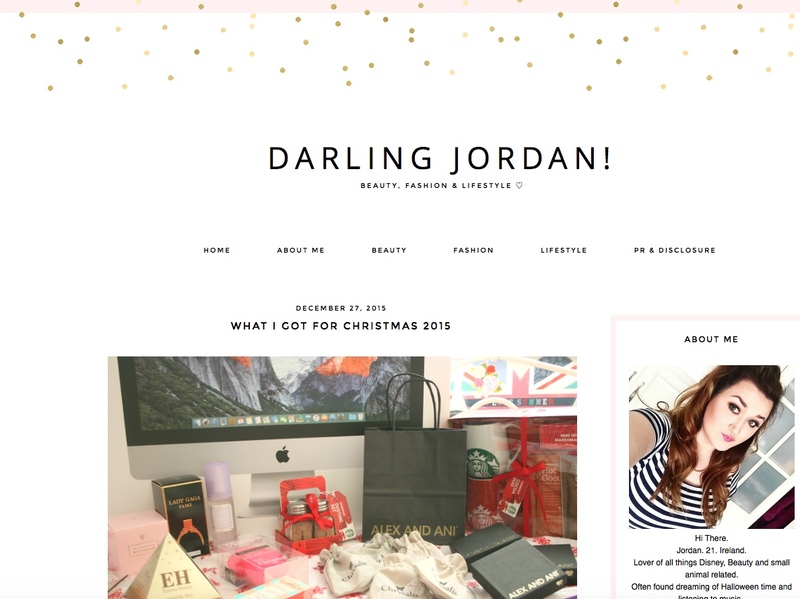 I wanted a whole new look and I wanted a new name so I bought a new design and decided on the name change Darling Jordan. I decided that it was much easier to remember rather than KeepDreaming-13 and hoped to start on a fresh page and get back to loving my blog again. The fresh start made it feel like a whole new blog again and I even started a new notebook cause clearly that made it official right!? Although I'm now using four different ones I don't even know why! However even though I was loving how fresh and new everything was I still wanted a header something that would just scream 'me' in it and so continued my search for someone to make me one that was talented but also affordable. 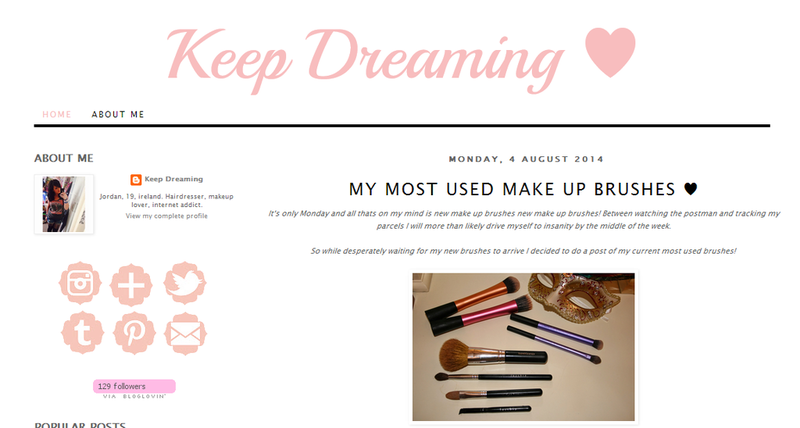 Which brings us on to how my blog looks today! After searching for awhile I fell in love with Jemma's (Dorkface.co.uk) designs and asked her to make me a header. I'm still in love with it to this day and with the castle, guinea pig and bunny in it I just think it screams Jordan! Getting myself a personalised header made me feel like I was making my blog look as professional as I could but also keeping it very me. My colour scheme never really changed that much because their the colours I like even if they are "typical blogger" colours. (Also to whoever still says that I'm rolling my eyes at you). While I'm still working on my photography and making small changes to my blog every now and then, I'm very happy with it right at this moment and proud of it if I do say so myself. I've been falling out of love with my blog these past few weeks as I felt like it was going nowhere but writing this post and looking back has made me realise just how far I've come. Plus it was fun to look back on what I thought looked brilliant at that time and how my opinion towards it has now changed. Have you looked back on your blog journey lately?